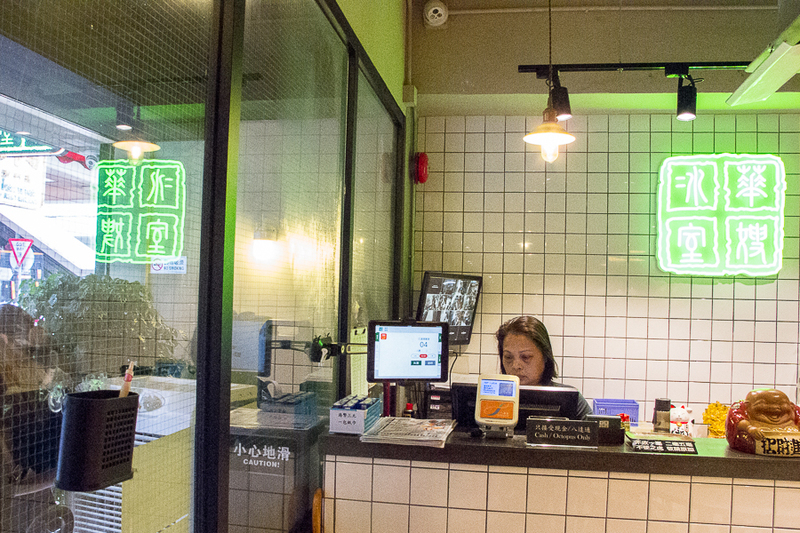 [Hong Kong] Located along a quieter street in the busy district of Wan Chai, you can easily spot Mrs Tang Café from their bold and minimalist shop front which displays their 4 character Chinese name. If that is not a clue of how hidden from the tourist eye they are, you will also find that there is also no English menu available. 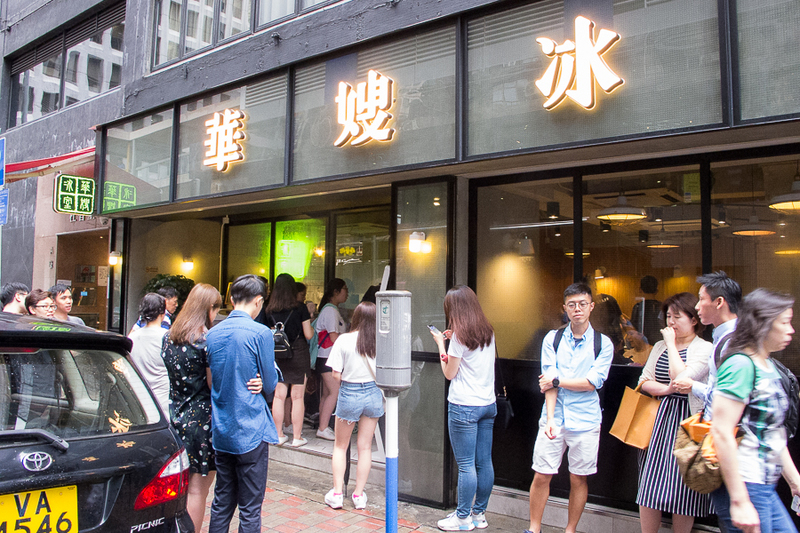 Mrs Tang is a crowded lunch spot for the Wan Chai working crowd and is popular for their rich tomato soup noodles, bolo bun sandwiches and Hong Kong Milk Tea. On another note, you may wonder who “Mrs Tang” is. Like is she someone famous? It is named after The Tang Clan, one of the Great Five Clans of Hong Kong and considered to be made up of native Hong Kong people. 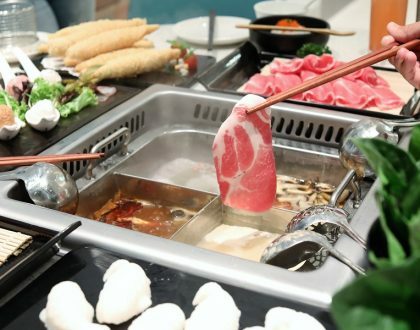 The original outlet is located in a village in Yuen Long on the Ping Shan Heritage Trail, well-known among the locals for their constant queues and good food. 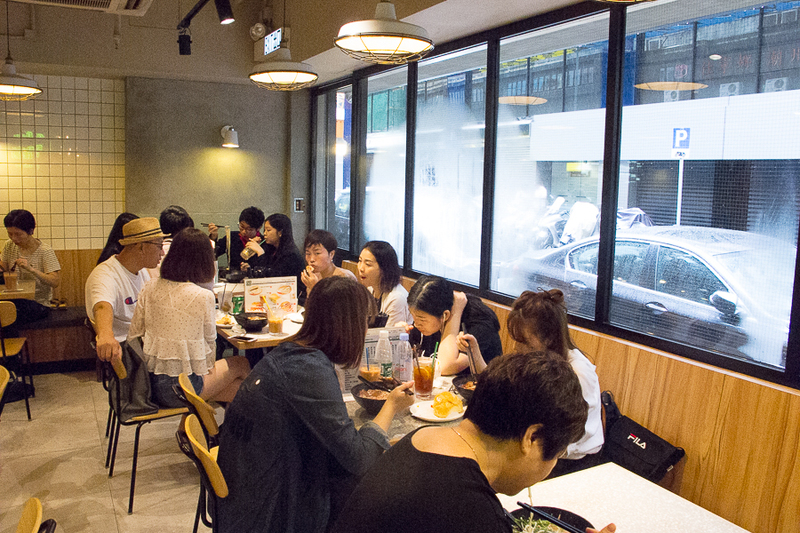 Unfortunately that location is hard to get to without having a car, so opening an outlet nearer to the city was definitely a move very welcomed by many. 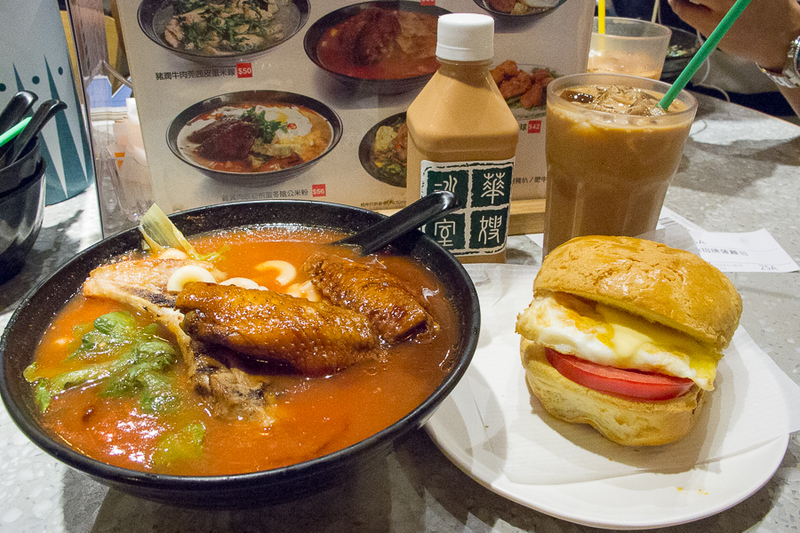 There is another outlet at Kwun Tong. 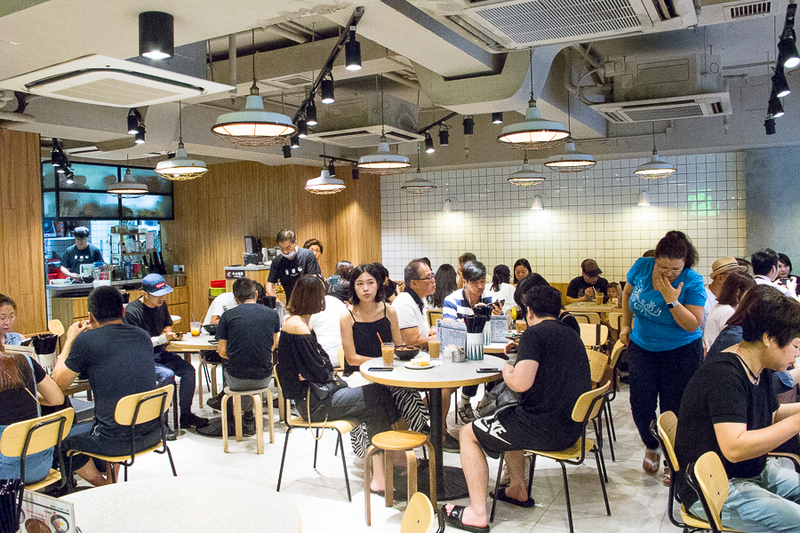 As this is a newer branch, the interior is modern and seats are slightly more comfortable compared to the usual hush-and-rush Hong Kong Cafes. 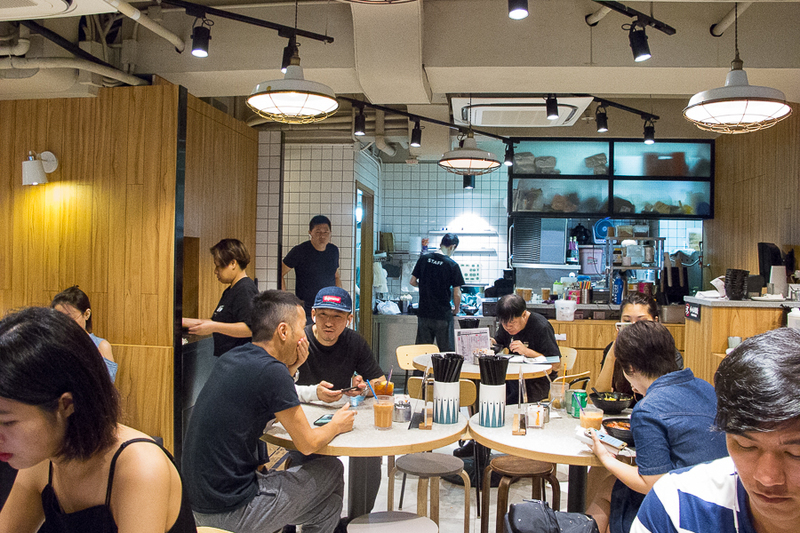 Decorated with wood finishing and white tiles, the design strays away from the traditional Hong Kong cafes. 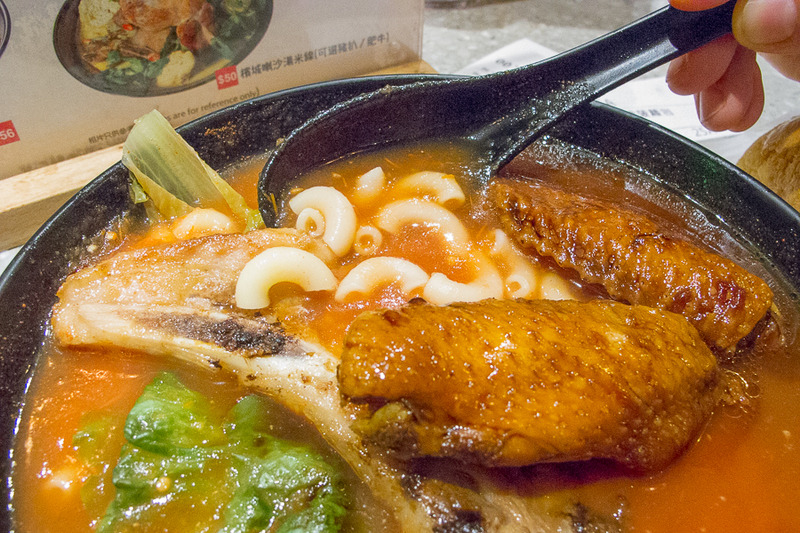 I ordered the Tomato Soup Macaroni with Grilled Chicken Wings and Pork Chop (HKD53, SGD9.20) for a serious meat indulgence. Their chicken wings were delicious and nicely marinated; while their pork chop was tender and flavourful. 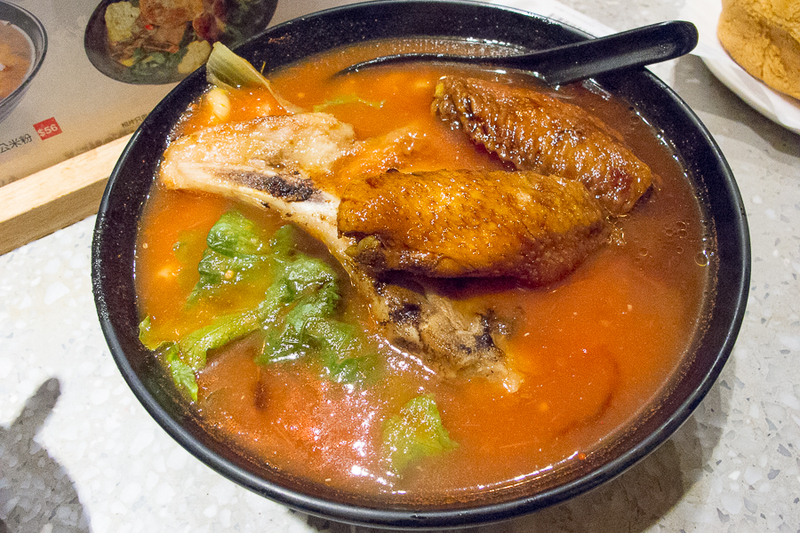 The tangy tomato broth helped balance things out. The portion was quite generous and I did get quite a bit of meat for that order. 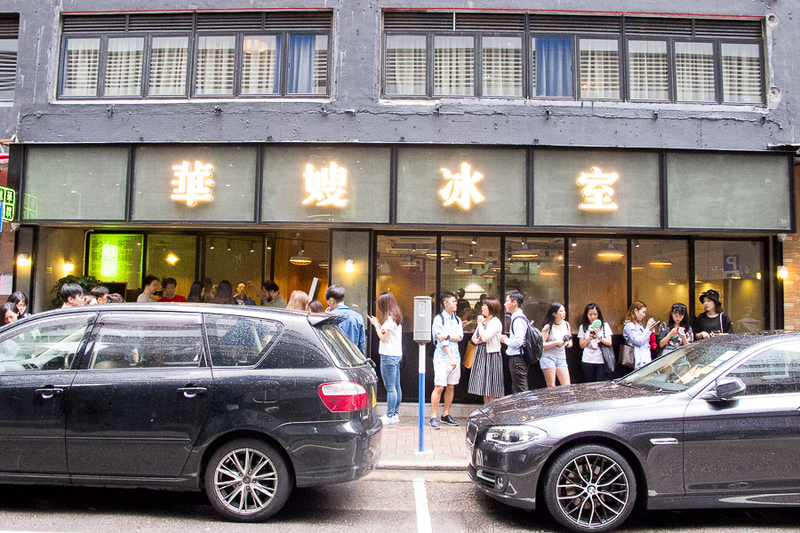 I had myself one of their Signature Milk Tea (HKD22, SGD3.80). 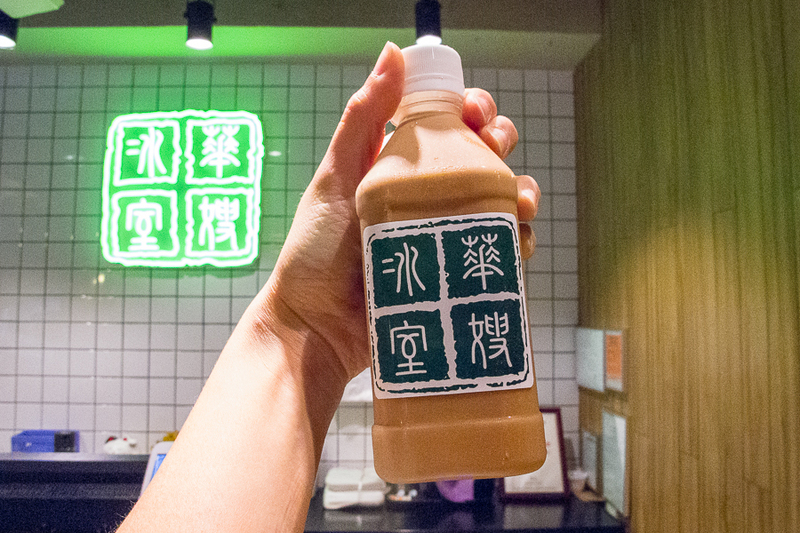 There are 2 versions available – the normal Milk Tea in a cup, topped with ice cubes and the Signature Milk Tea, which is a non-diluted thick version, served in a cute takeaway bottle. 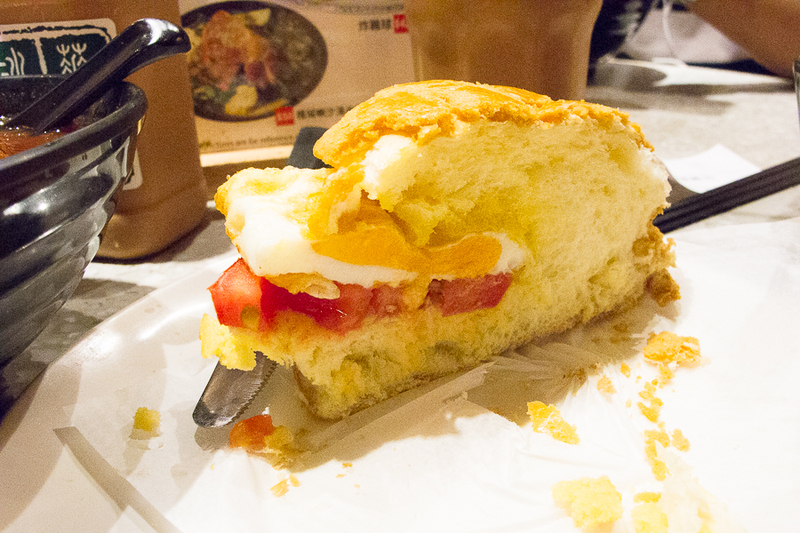 I also tried their Signature Bolo Bun Sandwich (HKD20 SGD3.50) – a bolo bun stuffed with a slab of butter, a thick slice of tomato and an egg. Some may find the idea weird since bolo buns tend to be sweet, but it did turn out to be an interesting marriage of taste. 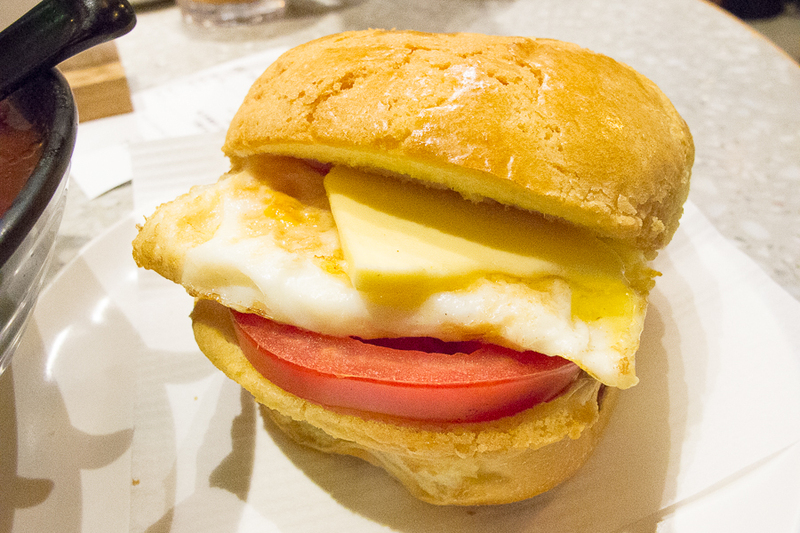 That said, I shared the bolo bun with a friend and she didn’t like the mash up of sweet and salty. 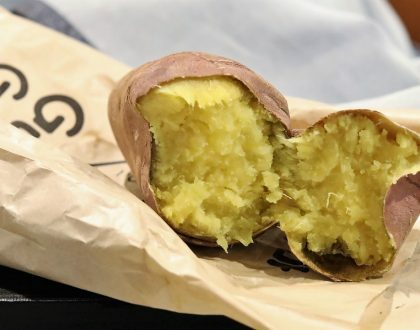 Their bolo bun was actually quite good on its own so that might be a better option if you cannot get past the idea of having salty food bits in a sugary bun. 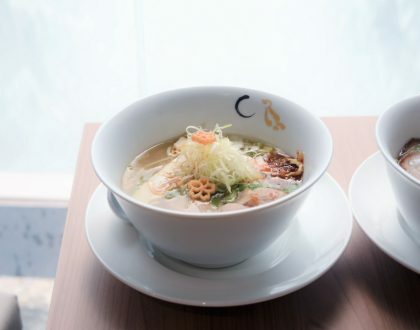 It was a little confusing to navigate their menu as the various noodles, toppings and soup bases can be mixed and matched at different prices. Thankfully they do not have a long list of food items and the photos on the menu definitely helped. There were some interesting items like black truffles chicken noodles, which is definitely something I would try for a return visit.